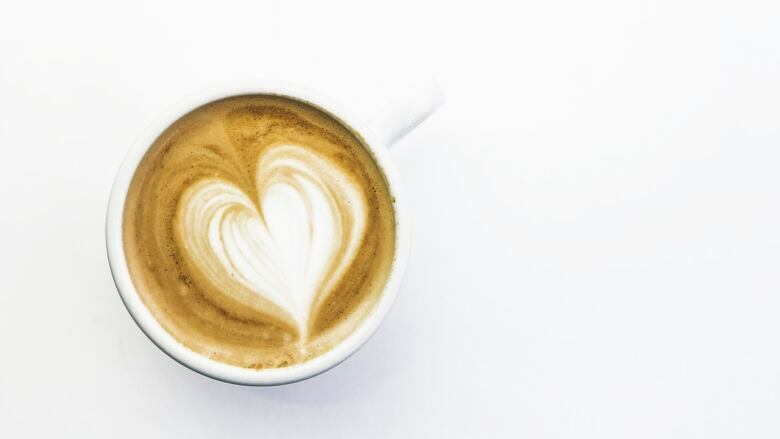 How to make heart-shaped latte art in just one pour. It goes without saying that the heart is the cornerstone of latte art. It's a classic, simple shape that's almost guaranteed to elicit a smile from anyone who receives it. Not only that — the perfect latte heart is a fully caffeinated and impressive way to surprise your Valentine come Feb 14th (or any day of the year, really). In order to demystify this staple of the latte art world, we enlisted the help of Brian Leonard, a Fredericton native famous for his foam designs and known as Barista Brian on Instagram and YouTube. Brian let us in on this little secret for mastering this design: "The way you steam your milk will make or break your heart. It comes down to microfoam — allowing a small amount of air into your milk as you steam, and mixing that air throughout your milk until there are millions of tiny bubbles, creating a silky microfoam." However, "practice is the best way to learn this one," Brian says. "It took me several months before I was pouring hearts. Hopefully this helps you speed along the process"
Milk or a milk alternative. 3.25% will give you the best foam! Make the espresso: grind your coffee, press the grinds and pull your espresso into your mug using the espresso machine. Pour the milk and begin to steam using the wand on your machine. Make sure you have your steam wand in on an angle that will create a whirlpool in your pitcher, this creates the best microfoam. Barista Brain says, "I always opt to use both my hands for the most control when steaming milk, and once you have it, you have it. Listen and feel while you steam, and your instincts will tell you if you're doing it right after time." Once your espresso is in your cup and your milk is steamed, start to pour in your milk with your cup on a hard angle. Begin slowly, gently swirling the milk into the espresso until the cup is about ¾ full. Bring the pour back to the centre of the cup and you should see the milk start to pool into a circle. Raise your pitcher about an inch, and splash the milk away from you. This will create the pointed end of your heart! Now go on and pour your heart out! Make sure to tag @cbclife and @baristabrian in all the pics of your creations.